A leading Cardiff University scientist has successfully cloned a human virus offering new hope for the development of treatments for life-threatening diseases. A recent study published in the on-line edition of The Journal of Clinical Investigation, led by Dr Rich Stanton from Cardiff University's School of Medicine’s Infection, Immunity and Inflammation Interdisciplinary Research Group (i3 – IRG) has created the first complete copy of the human virus - Human cytomegalovirus (HCMV). HCMV is a major infectious cause of congenital malformations worldwide. The virus is also known to cause life-threatening disease in transplant patients and people with HIV/AIDS. “ HCMV has by far the largest genome of all viruses affecting humans - consequently it was technically difficult to clone in an intact form in the laboratory. Cloning a copy of the virus from a strain isolated by Cardiff Public Health Laboratories has enabled us to identify genes that caused the virus to be unstable outside the body. The new clone has already been distributed to research laboratories worldwide, and is being tested by the World Health Organisation (WHO) as part of a study to develop an international diagnostic standard with which to compare clinical isolates. The genome sequence of the Cardiff virus has also been designated the international reference for HCMV in the National Centre for Biotechnology Information (NCBI) - an international database that provides reference standards for biomedical and genomic information. “HCMV has been designated as a highest priority vaccine target by the US Institute of Medicine. When developing vaccines, anti-viral agents and improving understanding of disease, it is crucial to work with a virus that accurately represents the virus present in patients. This study was funded by the Wellcome Trust and the Medical Research Council, and was a joint collaboration between Cardiff University’s Infection, Immunity and Inflammation Interdisciplinary Research Group and Drs Davison and Dargan at the Centre for Virus Research at the University of Glasgow. Cardiff University’s i3-IRG is a large team of nearly 150 researchers from different fields of expertise. The i3-IRG undertakes basic, translational and clinical research in order to further our understanding of the immune system for better diagnosis and therapy of infection, inflammation, autoimmunity and cancer. Its research involves collaborations between hospital doctors and laboratory scientists, who share knowledge through regular conferences and workshops. Most members of the i3-IRG work in different research institutes across the University’s Schools of Medicine, Biosciences, Dentistry and Pharmacy. Health News is included on the IvyRose website to inform visitors about current health issues and research, but not to endorse any particular view or activity. Any views expressed in the article above are not necessarily those of IvyRose Ltd.. Material in this news item was released by the source indicated below on 13 September 2010 and may have been edited (e.g. in style, length, and/or for ease of understanding by our international readers) for inclusion here. For further information, please visit their website via the following link. 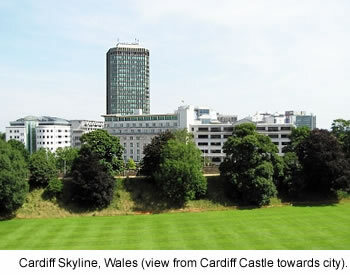 Source: Cardiff University, Wales (UK)..